It's 03:19 in Capodimonte, Italy right now. View over Capodimonte A view onto the Campagne Circostanti. Marta: Lake Bolsena, 1.3 miles away. Valentano: Rocca Farnese and Porta Magenta, 4.9 miles away. Valentano: Lago di Bolsena, 4.9 miles away. Bolsena: Lake Bolsena, 7.5 miles away. San Lorenzo Nuovo: Lake Bolsena, 9.4 miles away. San Lorenzo Nuovo: Bolsena Lake, 9.4 miles away. 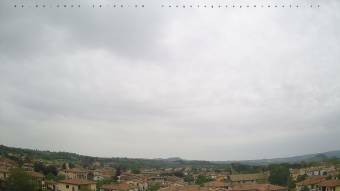 Orvieto: Orvieto Cathedral, 15.4 miles away. Ronciglione: City View, 23.6 miles away.